Outfitted with a modern infrastructure, we are the most prominent manufacturer of a wide array of Volumetric Flask. With one graduation mark, glass stopper. 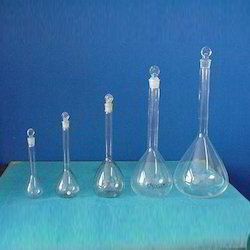 With a firm commitment to quality, we are involved in offering a wide ambit of Glass Volumetric Flask. 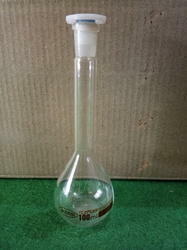 Volumetric Flask with one graduation mark & stopper made of polythelene ISO 1042, DIN 12664, Class B.